It has been long since we gave an update about the school building project – a key educational development project for our children and the community at large. 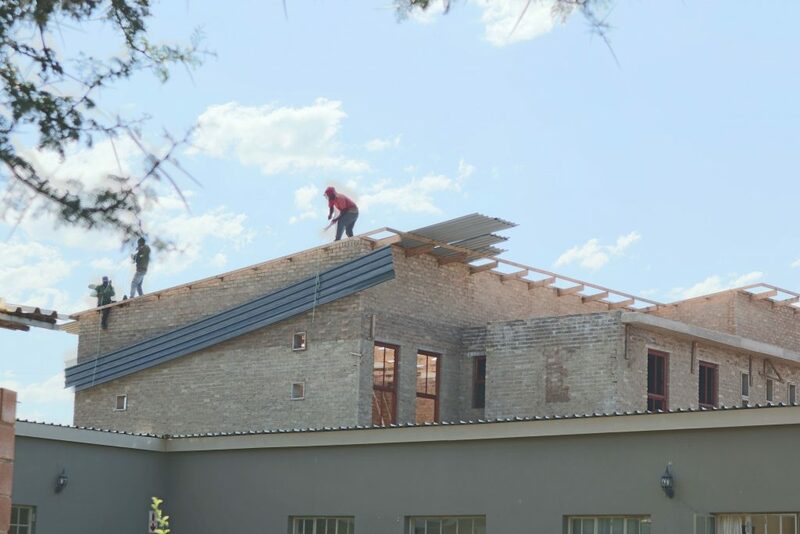 One of the biggest needs for the school building project, the roofing, is nearing completion – the contractor has made a commitment that on the first days of the month of March 2019 – he will be done with the installation of the sheeting on the already completed and installed roof trusses of the school building. It certainly gives joy to see this great amount of progress – made possible by you, ordinary men and women. We have started with the plastering work in the school building, the ground classrooms are currently being plastered, with this progress we can now start to see a kind of an educational environment we have always wished for. New Jerusalem Children’s Home wishes to have the school building completed on the last day of March 2019 and to officially open for learning and teaching – when schools reopen for a second term, which will be in April 2019. The organization, New Jerusalem Children’s Home, believe that it is possible – with only a few building phases remaining before the school can be completed, the home is certain that it is possible, with your help and continues support, more with the educational and developmental needs of our children – we believe that the estimated completion month is possible. New Jerusalem Children’s Home; is certainly closer to completing the school building project, your support has brought us this far. We do believe that your continued hand will lead us into finally completing this much needed educational structure. New Jerusalem Children’s Home is a PBO registered organization and can issue a Section 18A receipts to you for the amount donated.